A long overdue update -- draft completed and a video to share! A picture of a pictures b-roll pages that I found buried at the Exxon archives in Texas. Hello! It has been too many months since my last update — and I apologize for waiting so long to post. (However, I have a surprise to make up for it at the end of this post!) So many things have been going on in my life, but my love and passion for Harlem Prep has remained. I’ve now lived in Southern California for over a year now, and while it is wonderful to be close with family, I deeply miss my Harlem Prep family. I miss our visits and correspondences, and soaking up the energy in Harlem — and even just feeling that internal warmth knowing that many of you and the spirit of Harlem Prep were only a subway ride away. Last year, as you all know, was spent writing the Harlem Prep story after many years of research in New York City, New Jersey, and beyond. Each day, I’d spend as many hours as my mind would allow writing about Harlem Prep, trying to synthesize over a thousand (yes, that many!) documents related to the school and its students, and hundreds of pages of oral history transcriptions. The beauty, the mystique, the complexity, the exceptionalism of this institution — as I see it — jumped off of these documents and transcriptions over and over again, and it was a challenge to somehow craft all of that into a powerful, yet honest, narrative that would give the school and it’s wonderful people justice the best that I could. In result of this year-long writing — and in all its many imperfections — I finished a near-complete draft of this story in late June. After 370 pages (double-spaced on the computer, don’t worry!) of text, I took a break and gently put Harlem Prep aside, momentarily. A beautiful picture — students working, with no one else in sight, under the Moja Logo slogan. Shortly after, in July, I was hired as a part-time history professor at a community college where I live. Although I’ve worked with young people in the past, it is my first time teaching at the college level. While it has certainly been a whirlwind, I have loved every minute of it — it has truly been a privilege to be able to teach and learn from young people who are trying to reach their dreams. In my teaching, I think about Harlem Prep constantly. In every class that I plan and in every strategy that I employ, I think of Harlem Prep — what would the Sandy Campbell’s or the Ann Carpenter’s or the Dr. Ben’s do? In reflection, after 8 weeks of teaching so far, I realize how much Harlem Prep has deeply influenced my teaching style in countless ways. The last few weeks, however, I have been jumping back into Harlem Prep. Where does this leave me? Where does this leave us? I am currently revising/editing/adding to each of the eight chapters that I wrote last academic year, based on feedback from my advisor at Columbia University. I plan to spend the next few months revising this current draft into a more polished one. The goal is to be finished sometime in March — in which, from there, I can hopefully begin to circulate a working draft and then, once it’s finalized, share it all publicly and begin to turn it into a book to send to publishers! Revisions so far are going well, although, as always, there is so much to say! One of the questions I am struggling throughout the narrative revolve around gender — particularly in the context of today. What were the gender politics like at Harlem Prep? (There has been history research on how the civil rights movement was often sexist, and African-American women were often marginalized in leadership positions.) Was Harlem Prep originally intended to be for men only? (The first class, 30 of the first 36 students were male and I can’t seem to find the answer to this question.) How I can include additional stories of Ann Carpenter in the narrative, since we all know that she did so much for the school even though Ed gets much of the credit. (Many of my documents I have found are written from the perspective of Ed, only.) If anyone would like to offer their thoughts on any of these questions — or narratives about Ann, specifically, too — I would very much love to hear them and to include them! Finally, I have one last thing: in April, I presented some work on Harlem Prep at an education conference to teachers, administrators, and education researchers and practitioners. It was a true joy and extremely humbling! In hopes of sharing with you, I created a video of that presentation with my voice narration in the background. I hope you enjoy! This presentation is based off a newly-published chapter that is in a book to help prepare pre-service teachers (i.e., those who are training to become teachers). Unfortunately, because of copyright issues — and I’ll get in trouble! — I can’t post a link online, but if you contact me (e-mail or phone or Facebook), I can share a copy of this chapter! 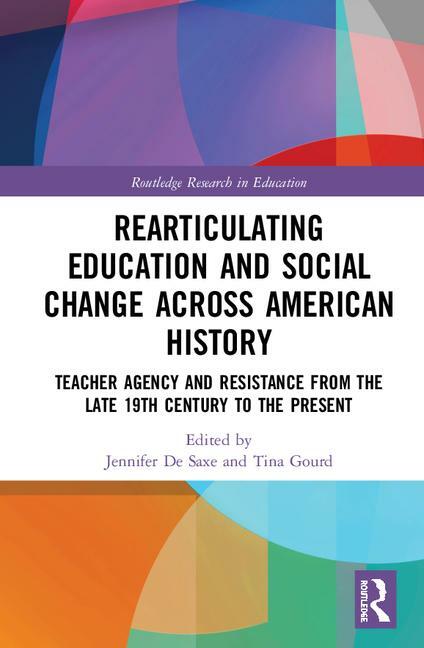 Here is information about the book: Radical Educators Rearticulating Education and Social Change (I don’t know why the book is so expensive at this point!) Anyway, the chapter is not perfect and I was under certain limitations, but I hope people training to become teachers can become inspired — and learn from — Harlem Prep’s teachers and apply those same principles to the present. I know for certain that Harlem Prep has inspired me. In the perilous times that we currently live in, Harlem Prep gives me hope — much-needed hope! — and it continues to be an honor to have the opportunity to tell this beautiful story. I am slowly having opportunities to share small parts of this story (in this book chapter and presentation, for example), and truly cannot wait until I am able to share this whole, amazing and beautiful and complex story with each of you and the world. I promise, though I am out of sight, all of you are not out of mind! Thank you for all your support, help, trust and love — and I promise to post again soon. Please never hesitate to reach out. Wishing you all the best, happiness and good health. Participate in the Harlem Prep project and share your story! Click here to post a reflection or e-mail me at b.goldenberg@columbia.edu to set up an oral history.